Plan now for emergency fuel services and delivery. We offer guaranteed fuel contracts and fast response in any situation, whether from a winter storm, a widespread power outage or other disasters. With a large fleet of trucks and a nationwide network of supply points, we provide emergency fuel delivery to customers in a wide range of industries. If you operate a data center, healthcare clinic, power plant, or any other facility, you understand the necessity of backup power and uptime. Therefore, we deliver emergency generator fuel, heating oil, and other essentials to keep you running. We also provide direct-to-vehicle mobile refilling for repair crews and transportation fleets. Our 24-hour service means that your fleet can be fueled even while your crew sleeps, thus minimizing downtime during critical emergency response efforts. Our fleet of fully-equipped trucks and tankers supplies prompt emergency oil delivery and fuel service. Because of this, we’re able to deliver petroleum gas, propane, diesel, biodiesel, kerosene, water, and specialty liquids, fulfilling orders up to 500,000 gallons at a time. No matter your situation, we have the equipment to accommodate fast and efficient delivery of any of our emergency fuels. Additionally, our fully licensed drivers receive Hazmat training to guarantee high safety standards at all times. Saved money: While you may have to pay out of pocket ahead of time for emergency fuel preparation, it can save hundreds of thousands of dollars or in some cases millions by helping you avoid downtime, lost revenue and lost productivity in any sort of disaster. 100% uptime: Emergency fuel keeps your facility running at full capacity in a storm or other emergency disaster situation. A power outage can be a nightmare for hospitals and data centers. While a power outage may only last a few hours, some may last upwards of days or weeks. This causes production to come to a halting stop and creates vulnerability to hacking and cyber-attacks. With piece of mind from Foster Fuels Mission Critical, you can be sure that we will provide your business with the emergency fuel supply to avoid revenue loss and downtime. Speed: We provide emergency fuel assistance fast so when you experience an outage, we’ll have you back up and running. You can expect a quick response time so that your company doesn’t lose valuable hours or put any patients or clients at risk. Experience: We are the prime contractor to the federal government providing unrivaled emergency responses on a wide scale during notable emergencies like Superstorm Sandy, the Haiti earthquake, the recent 2017 hurricane season. No matter what state or industry you are in or, we have the experience to handle almost any small to large scale emergencies even in the most disastrous situations. 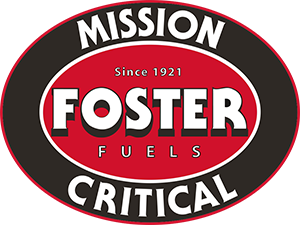 When you work with Foster Fuels Mission Critical it is a partnership and we follow through with any help we can offer. Quality Service: With an emergency contract, we provide a no-run-out guarantee. We also offer priority agreements, disaster preparedness plans, emergency training and more. We have experienced professionals that work alongside your unique company to provide the best possible service. If you are unsure where to start, one of our team members can walk you through the services we offer and create a customized plan that will work for you and your company and save you the loss that emergency downtime will bring. Learn more about our full selection of emergency fuel delivery and other fuel services by contacting us today.